Ola Mama Wash at Vaivase is more than just a car wash. Opened on August 18, 2017, Owner Lilian Mata’u said he prayed about business with his wife and it has a religious connotation. “We have to be clean in the flesh as well as in the spirit, so that’s how we got the name of the business,” Lilian told the Dear Tourist team. 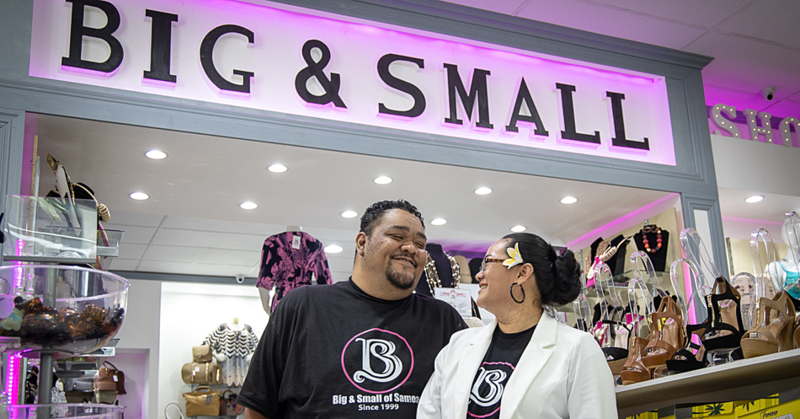 They have a branch in Salelologa, Savaii that was opened in 2015 and a laundromat. “So we do kitchen cleaning as well and we also go to houses and clean bed bugs as well. We also clean tiles using steam washer,” said Lilian. “For the car wash, we provide a wide range of services right from the water spraying up to full car grooming. Prices, Lilian said, varies and it depends on the type of work carried out and they offer a wide range of services. “If they want to do engine cleaning as well we can do that using the steam wash machine. We have all different kinds of machines that are used to clean the cars from the engine to the body to the inside of the car,” Lilian said. Lilian said prices for the various services can be negotiated. “We have contracts with companies as well, but we are the cheapest in town including Savaii. “Full detailing includes the cleaning of the chairs stains, dirt and all that. Normally we remove the seats from the car as well as the rug on the floor and the roof, we also clean the engine and we remove the tars that are usually stuck on the body of the vehicle. 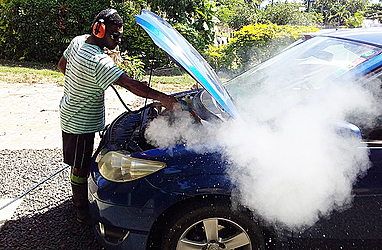 Ola Mama Wash is managed by Matai Vakacabe (pictured), a Fijian expert in car wash services and cleaning. 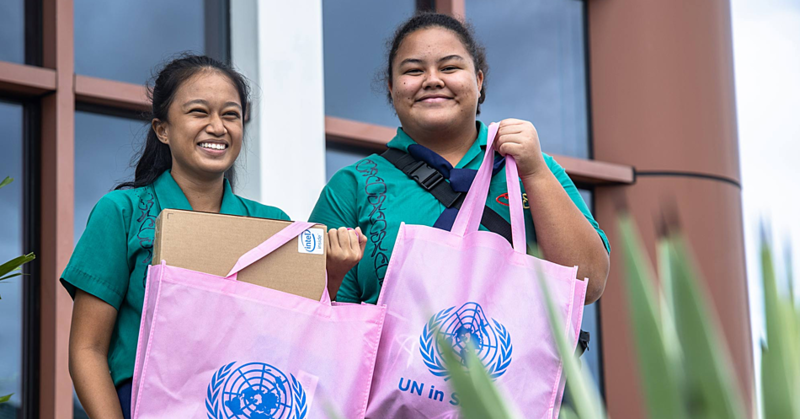 “He (Matai) has 10 years’ experience in the cleaning industry in Fiji so he had signed a contract with us for five years,” Lilian said. Contact numbers for Ola Mama are 7604826/7244633/720 4759.